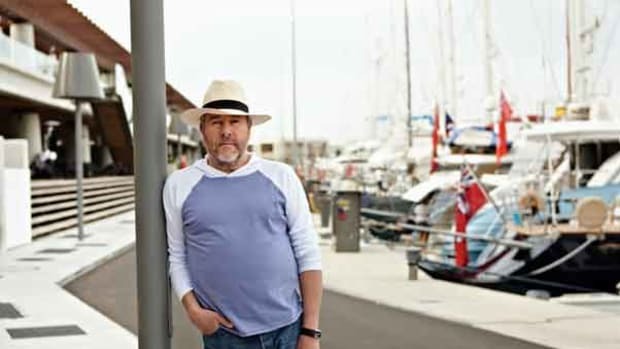 “A yacht is more than mere transport and should evoke an emotional connection,” Mohamed says. This was one of the guiding principles PJ followed in developing the design concept. The yacht’s appearance in a marina is likely to elicit a great amount of curiosity and admiration. 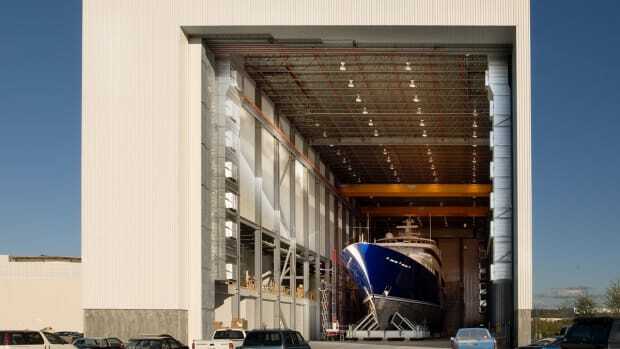 It a giant leap away from conventional “white boats” or even existing sport yachts. 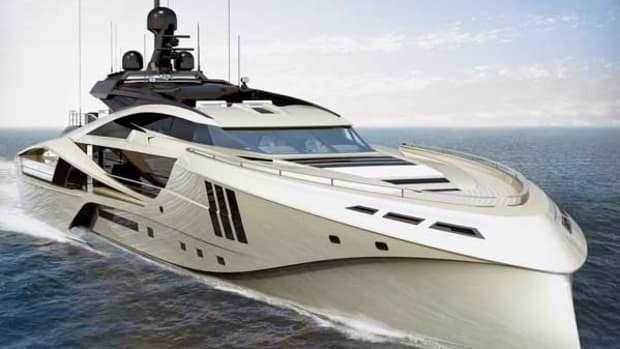 Mohamed speaks of “value” and what it means in the luxurious world of yachting. “Value comes from aesthetics, design and engineering working together to enhance performance and give pride of ownership,” he says. 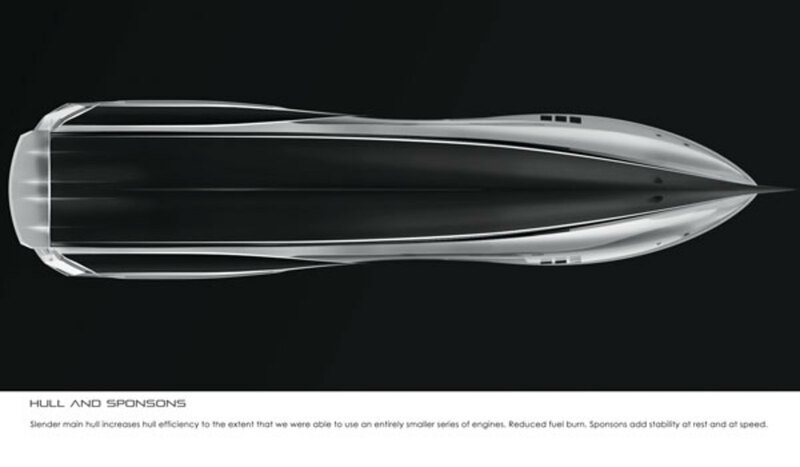 “This revolutionary yacht is set to be a benchmark for superyacht performance for years to come.” Considering the materials, the engineering and the construction method used, this yacht may be a game changer. This forward design is not a mere flight of fancy. 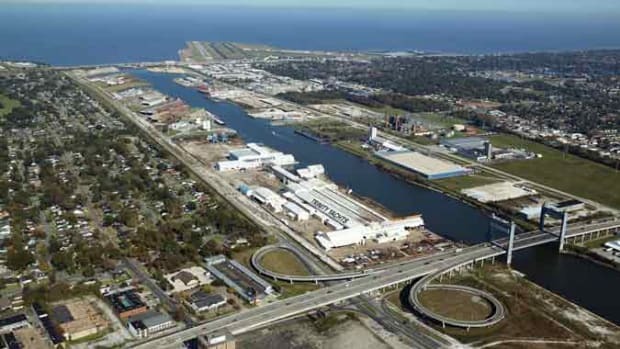 A current Palmer Johnson owner has already ordered Hull No. 1, which is being built in carbon-fiber composite (a material chosen for its high strength-to-weight ratio) in Norway. Aerospace, aeronautics and other high-tech industries have already made the case for carbon fiber. While its strength is comparable to steel, its weight is much closer to that of plastic, making it an attractive alternative for a fast-moving object. Below the PJ 48 SuperSport’s chiseled superstructure and the water line are a number of features designed to enhance life on board. 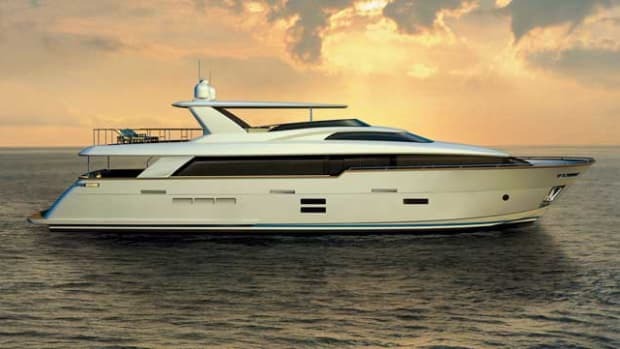 The PJ 48 will be efficient, spacious and stable. With two 2000 series MTU engines, the top speed is expected to be 32 knots. 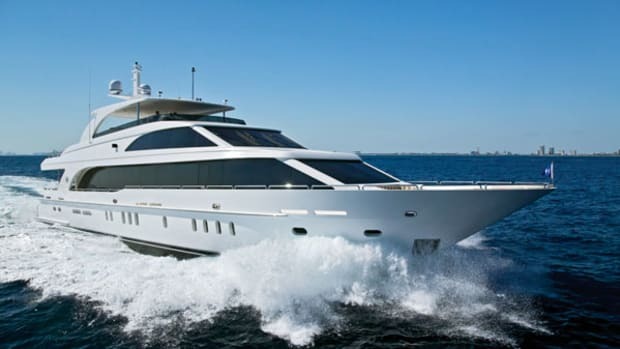 Fuel consumption at top speed is about 259 gallons (980 liters) per hour, and just 43 gallons (160 liters) per hour at 15.5 knots. 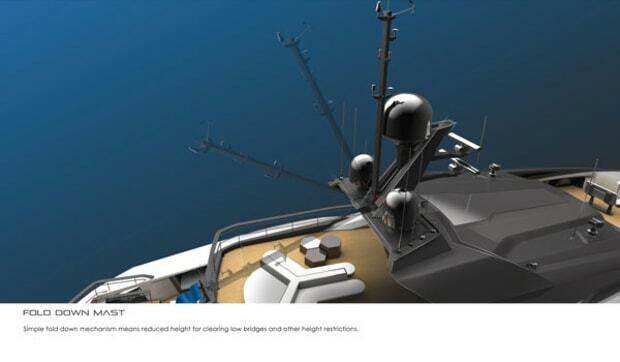 This kind of efficiency means the yacht will have the ability to cross the Atlantic at just below 16 knots. For these results to be possible, there can be no or few underwater appendages, such as fins. While fin stabilizers provide stability to conventional monohulls, they increase drag. 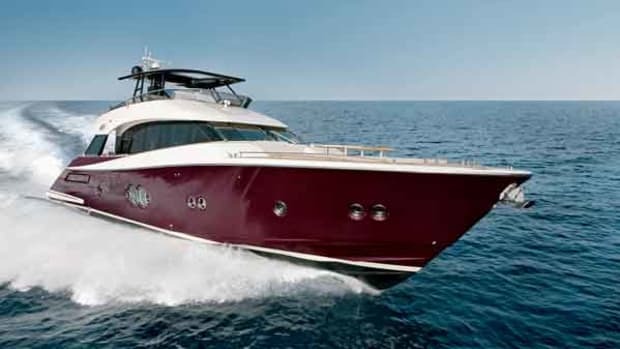 Instead, the PJ 48 SuperSport’s stability stems from a sponson design aft that helps dampen roll, while the hull’s superfine entry pierces the waves. 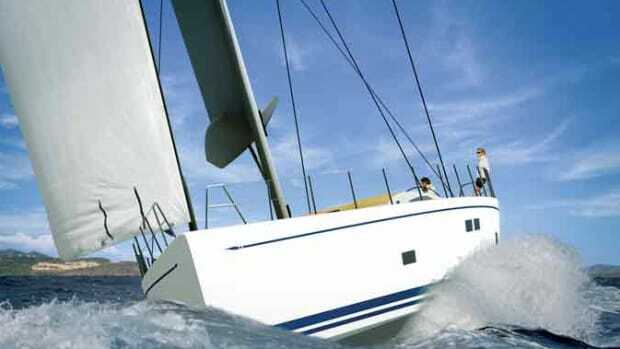 The PJ 48 promises the kind of stability hardly possible with even a well-stabilized monohull. 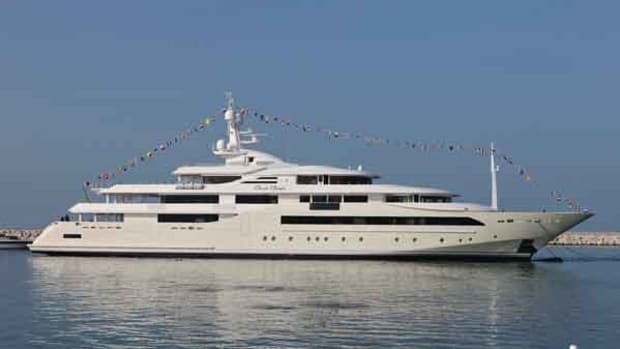 Above water, the yacht is much wider than a typical 158-foot yacht yacht. At its widest point, the beam is 36 feet (11 meters), which is the kind of beam usually seen on much larger monohulls (190 feet or more). This is a really clever design. The bottom view reveals that the surface that comes in contact with the water is slender, meaning the luxurious space above does not come at the expense of speed or efficiency. It is put to good use, however, to maximize the living areas. From a huge outdoor lounging area aft (about 1,184 square feet), guests will walk into a bright salon with floor-to-ceiling windows. To maximize the views, the designers did away with as many of the supports as they could. The vast windshield is a technological feat in itself with no central mullions to spoil the view. The skylounge also enjoys a full panorama. 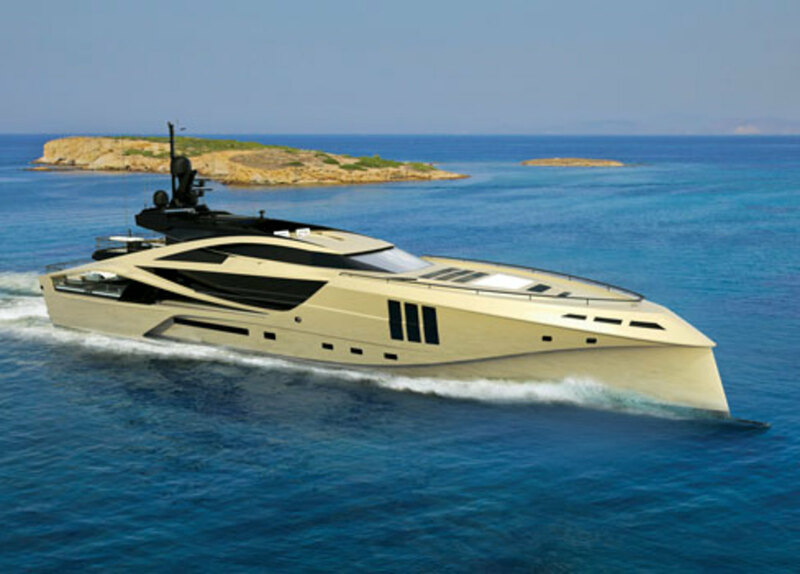 The owner will take delivery at the end of the year, and the builder has only released a few details to date. They already show a great deal of innovation. The PJ 48 SuperSport (and sisterships 72 and 42) might in fact prove revolutionary.